The only Dunes Villa on the market, this villa has been completely renovated. New kitchen with all new SS appliances, new granite counters, new vinyl plank floors and new cabinets too. Smooth ceilings throughout and new light fixtures and fans throughout too. Bath tub resurfaced, new tile surround, new vanity, tile floors and fixtures. Pretty new doors and 2018 HVAC system. Roof is new also. 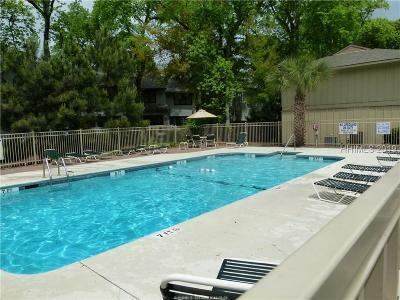 Pet friendly for owners, great on site pool and amenities you are going to love this villa. So close to the beach! This is a second floor villa...no noise above you! Would make a great vacation villa or primary residence. Perfect location!